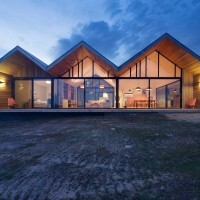 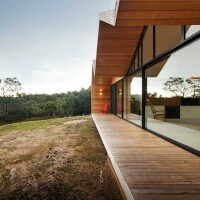 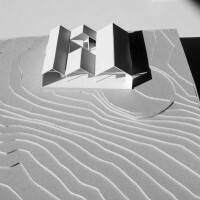 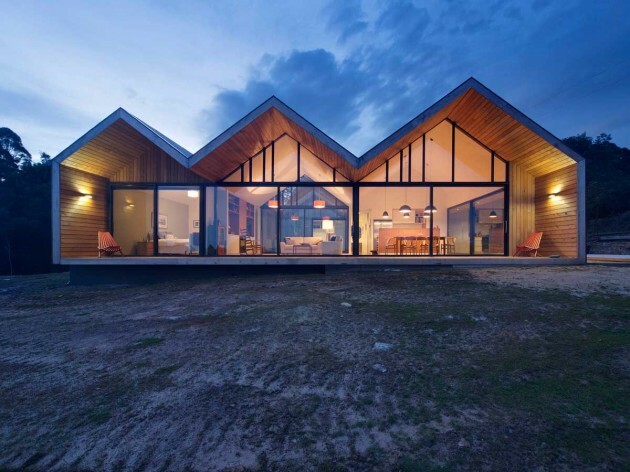 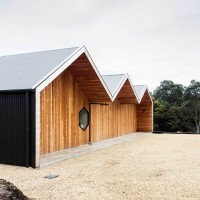 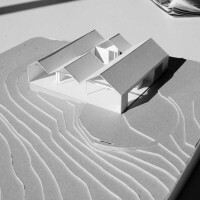 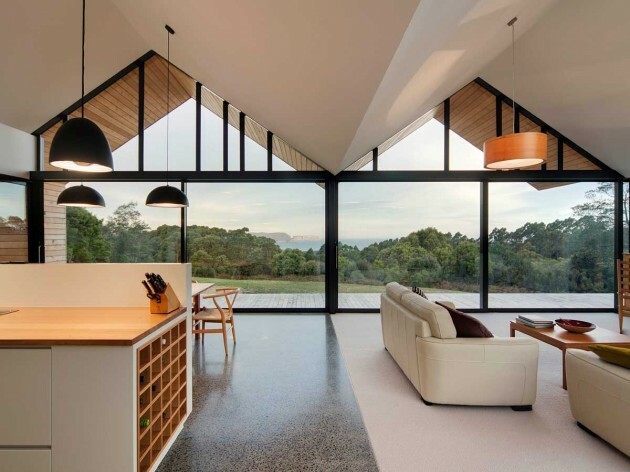 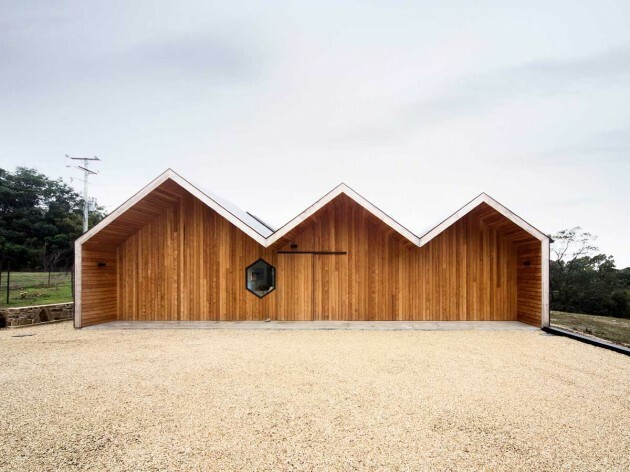 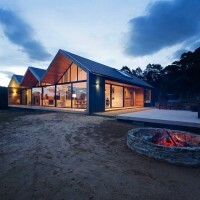 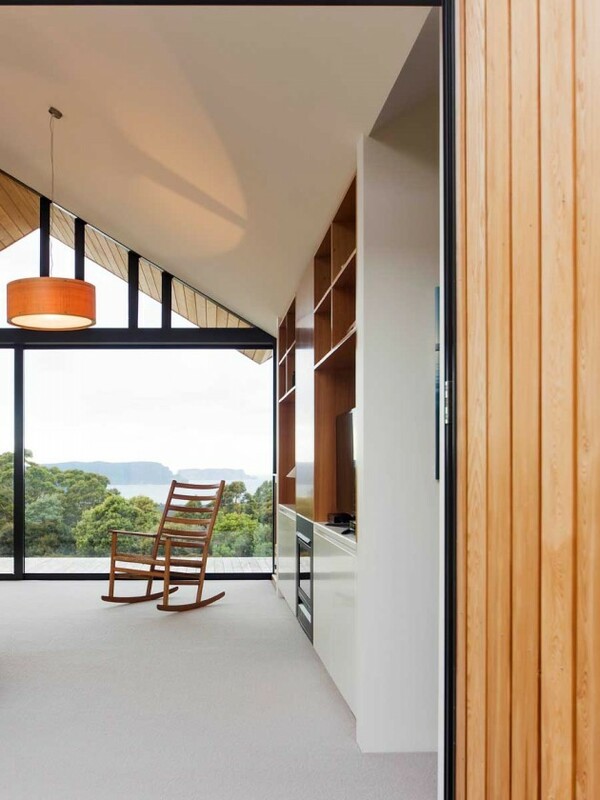 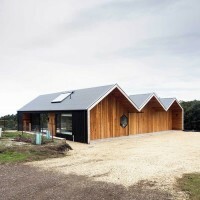 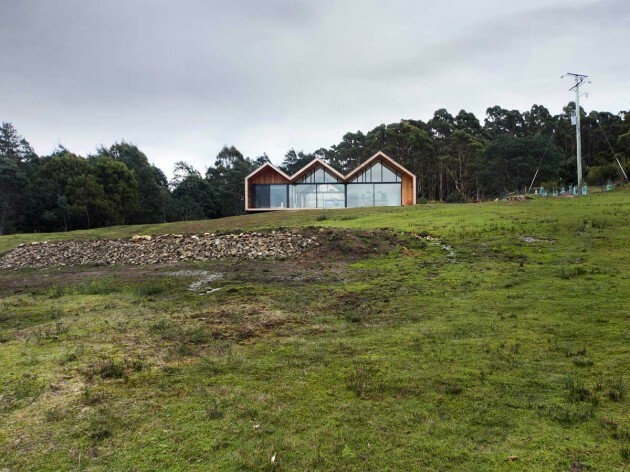 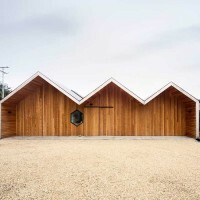 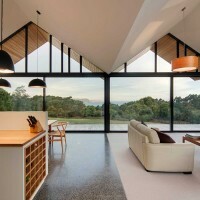 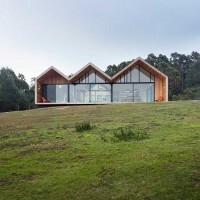 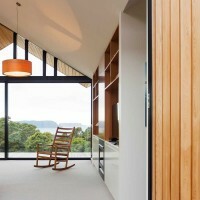 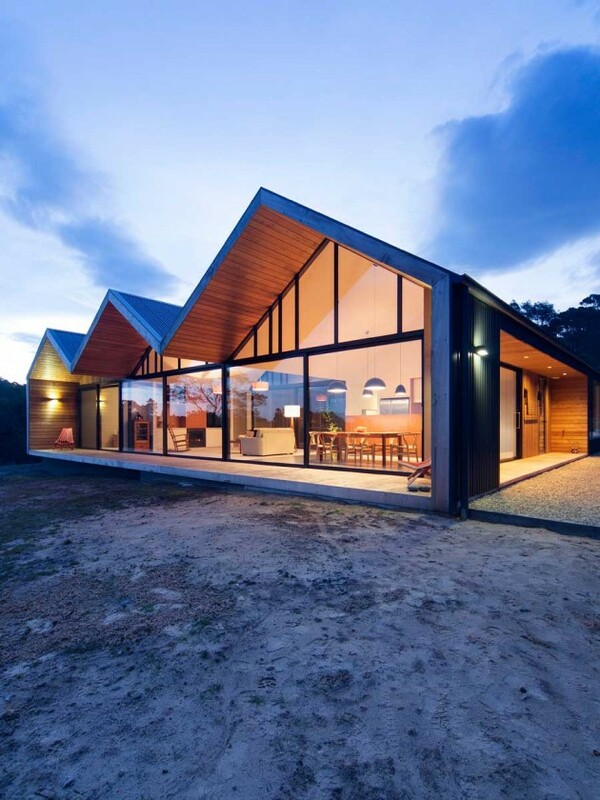 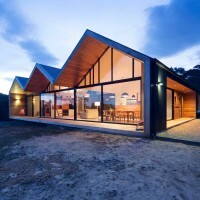 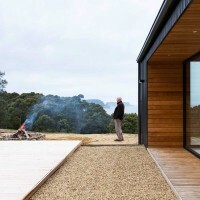 Australian architecture firm Room11 have designed the Lookout House, located in Port Arthur, Tasmania. 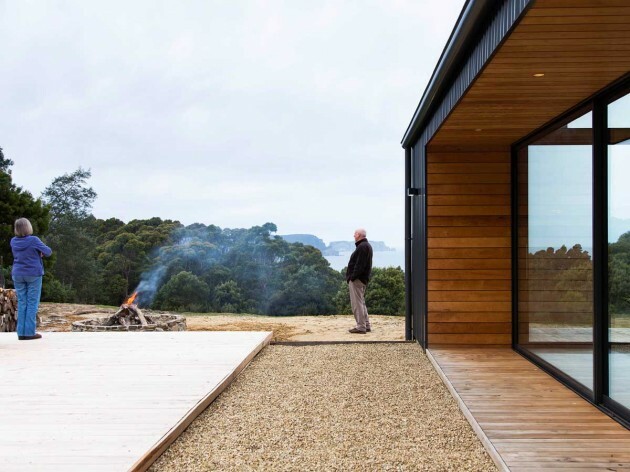 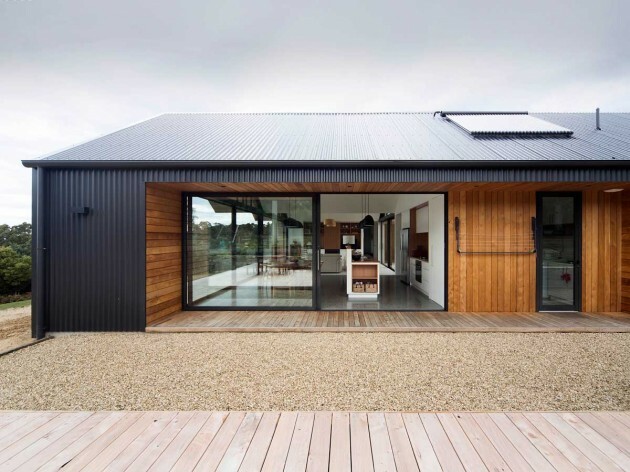 Positioned on a previously cleared site, with views towards Tasman Island and the Southern Ocean beyond, this project takes the farmhouse typology and transforms it into a hybrid courtyard house. 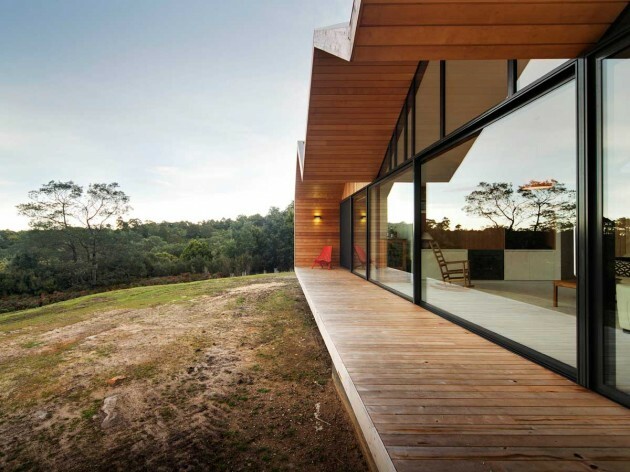 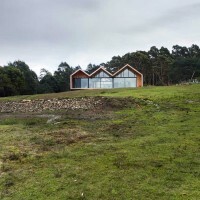 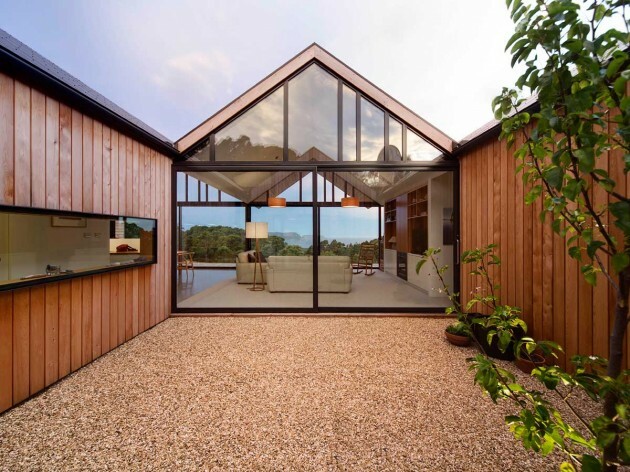 Visitors enter through a covered threshold, experiencing views into the treed courtyard and the sea beyond, before venturing into the main living space where the full panorama unfolds. 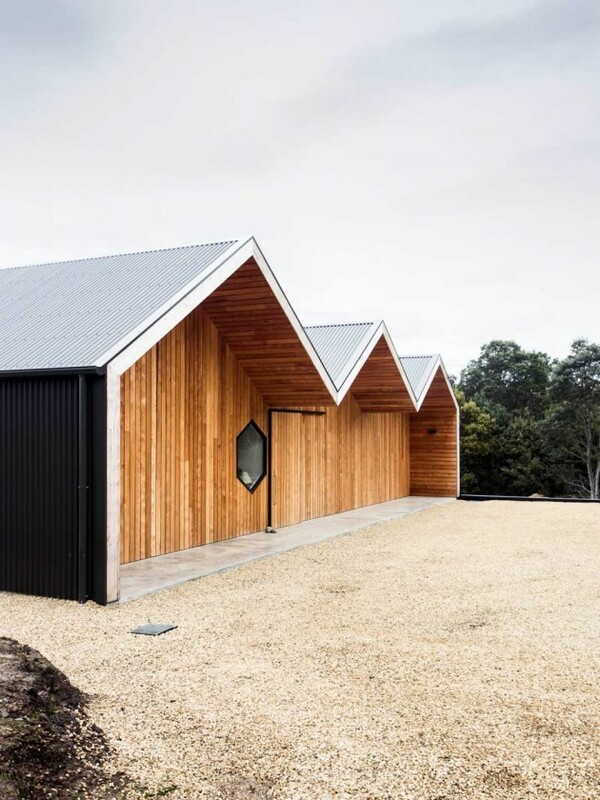 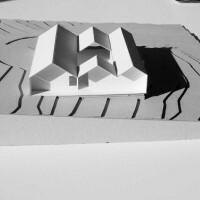 Three gable roof extrusions define functions within, each with particular relationships to the courtyard and specific views to the surrounds. 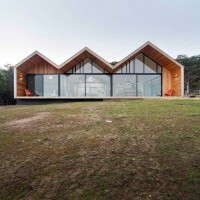 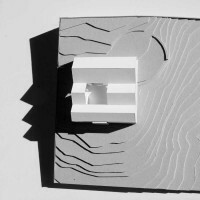 The extruded form pushes beyond the building envelope providing covered outdoor living spaces.